The best-selling author of Diet for a New America introduces a new paradigm of aging that examines four native cultures distinguished by their longevity and good health to determine those factors--including diet, exercise, and emotional well-being--that can add years to one's life. Simultaneous. 1. This book is not about "losing weight"; it's about living a lifestyle. As myself and friends often discuss, there is really not a lot of advantage in doing something unsustainable, such as is the case with all of these fad diets, diet pills, HCG, and all the other "I want it now / I want a lot of results for not much effort" approach that most Americans attempt to take. 2. Just because you maintain a healthy-looking appearance does not mean that you are healthy. A poignant illustration mentioned in the book is that of Jim Fixx, a famous proponent of running some 25 years ago that died of a heart attack at 51 (while running) - at least one of his coronary arteries was revealed to have 95%+ blockage from his horrible eating habits. On a similar note, just yesterday I received the news that the ex-husband of my wife's friend had a heart attack at 41. He maintained a fairly slim frame but ate like a horse (on a diet that included a lot of meat and fried foods, desserts, etc). In yet other stories we hear of runners dropping dead at marathons on a regular basis that are seemingly "a picture of health". How healthy are these people really? Have they had any checkups besides a routine physical? What about a full cardiology exam that includes things like ejection fraction, possibly atrophy of heart muscle tissue, saturation and blockage levels of coronary arteries, and others? Any genetic testing? to interact with others frequently in ways that support each other. Multiple studies, as referenced in the book, have been done that show that in some ways, a strong network of loving relationships can overcome even an assortment of detriments combined (job stress, smoking, high blood pressure). A phrase in particular that struck me and left me speechless was "if you prepare a lunch for your spouse, etc. include a love note with the lunch". This exact thing my wife did for me for years and I have never seen that mentioned anywhere else! Other portions of the book completely took me by surprise, such as the marked increase in Japan's life expectancy in only 20 years after WWII, when General MacArthur reconstructed the country's wealth, corporate and landowner structures and essentially "leveled the playing field", dissolving the family dynasties that ran the large corporations, capping maximum pay for business executives, and massively redistributing wealth. Wealth inequality, especially here in the U.S., is taking a huge toll on the populace not only for the obvious reasons, but for health-related reasons. 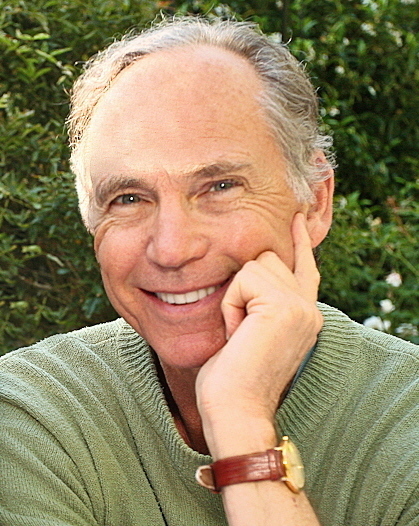 Robbins has done extensive research on medical studies and has a massive bibilography to support his approach. The book has a large bank of reference, but is not excessively technical and should be easily understood by the average person. He has done a great job in that regard to accessibility. Highly, highly recommended. Update: After 6 months eating this way, and referencing this book and The China Study by T. Colin Campbell, I went from 217 down to 182 (I am 6' 1"). My BP is averaging around 110/70 (from before always being around 132/100), my trigylcerides are 58 and total cholesterol is 128. Excellent numbers. I am no longer tired in the afternoons, am not hungry between meals, and maintain a good volume of energy throughout the day. I generally feel much better than before. Thanks so much John Robbins and T. Colin Campbell for your tremendous efforts to inform us all of proper diet, and cutting through the immense sea of misinformation out there. Update: 06.15.13 - After well over a year and still maintaining this type of eating regimen, my trigylcerides are 54 and my total cholesterol is 145. My doctor said that he has hardly seen numbers like that without taking medication (that is a sad thing). My weight has been kept between 167-176 for months and months. I still feel great and have a lot of energy. If you are tired of diet gimmicks and want a true path to success, this is it. Also, for great recipes that fit into this lifestyle I would recommend Rip Esselstyn's highly renowned book "My Beef With Meat". John Robbins, you are my Dalai Lama. I sing your praises everywhere I go. I had originally saw this book at the library in passing. It caught my attention and I decided to read it. The introduction was about becoming more lively, being full of energy, and enjoying life as you got older, which was completely contrary to my belief system. I realized that this is possible, but you have to understand the various elements that contribute to a long lasting and healthy way of life. The book goes into detail about eating healthy, physical exercise, relationships with others, and spirituality. Very informative, recommended. 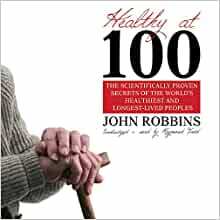 This book is great, very interesting about people in other areas of the world who live long, healthy lives.